At Baystate, a large number of highly talented people have been assembled so that Jerry can draw on their expertise for wide-ranging client needs. 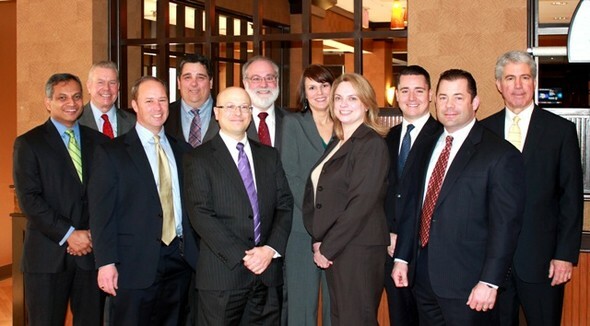 On a daily basis, a core team of professionals are dedicated to ongoing client service. Their shared goal is to work together to anticipate and respond to needs and questions in a timely and informative manner. *Scott MacKilligan, Tony Macsata, Shelia Daly, Joe O'Day and Nick Popovich are employees of Eastern Benefits, a non-affiliate third party group benefits provider. Eastern Benefits is not an affiliate of MML Investors Services, LLC. Products and services offered by unaffiliated insurers are not guaranteed, endorsed or recommended by MML Investors Services, LLC.